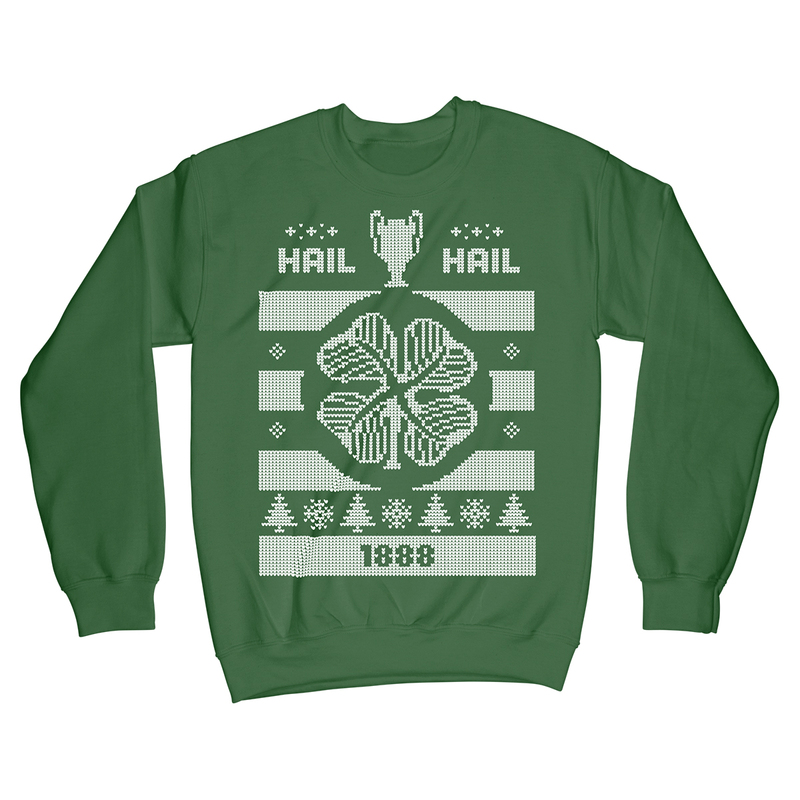 Celtic FC design featuring the crest, the Big Cup and the world-famous Hail Hail refrain – show your support for the Bhoys with this stylish and comfy knitted-style Christmas jumper design. This exclusive design pays homage to the first British team to bring back the European Cup – Celtic FC. It is printed direct-to-garment using the highest quality ink onto the very best quality cotton sweatshirts. Designed to fit snugly and comfortably, these high quality garments will keep your body looking hilarious for years to come. Exclusive high quality knitted style ugly christmas sweater. High quality print on premium sweatshirt.